The cancellation of a cooperation treaty between Kyrgyzstan and the United States does not mean that pro-US non-governmental organizations have lost their ability to influence political debate in Bishkek, a Central Committee member of the Party of Communists of Kyrgyzstan told Sputnik. MOSCOW (Sputnik), Yulia Shamporova – Kyrgyzstan ended a cooperation treaty with the United States that had been in force since 1993, after the US State Department awarded Kyrgyz activist Azimjan Askarov a human rights prize in July 2015. The breach in the bilateral relations came two months before Kyrgyzstan's parliamentary elections on Sunday, October 4. "[Even after the cancellation] I wouldn’t make a conclusion about breakup or even significant coolness of Kyrgyz–American relations. The US has enough instruments of pressure in Kyrgyzstan including economic assistance and presence of a great number of pro-American NGOs so that Bishkek cannot quickly and painlessly 'point them to the door,'" Sergei Kojemyakin said. The politician added that Washington's bestowal of a human rights prize to a person convicted in Kyrgyzstan is disrespectful to the sovereignty of the country. He criticized US attempts to intervene in Kyrgyz internal affairs and approved the decision to end the cooperation treaty with the United States, a treaty that provided privileges for various non-governmental organizations financed by Washington. The elections for the Kyrgyz Parliament, Jogorku Kenesh, will take place on Sunday with 14 parties officially registered by Central Election Commission. 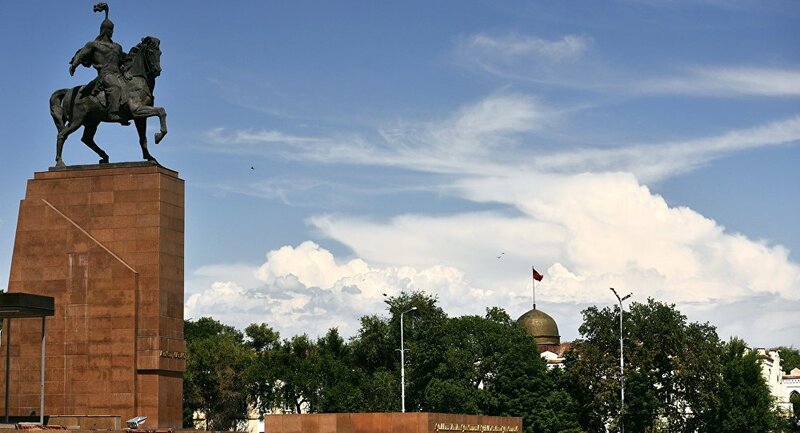 The Kyrgyz Parliament has 120 seats and members are elected for a five-year term. To become a member of the Parliament a party must score at least nine percent of the general votes. Western-funded NGOs in Kyrgyzstan concentrate on pressuring politicians in the country rather than protecting human rights, Sergei Kojemyakin told Sputnik. The politician recalled when the Kyrgyz parliament tried to adopt two bills in 2015, one banning the propaganda of non-traditional relations and the other to control the work of NGOs. Pro-western NGOs fiercely criticized both bills and, as a result, the bills were postponed indefinitely. He added that any attempt to control the work and funding of pro-western NGOs — a move that Kyrgyz deputies have attempted — results in accusations of a breach of democracy and freedom. The first NGOs arrived in Kyrgyzstan following the collapse of the Soviet Union in 1991. According to media reports, there are over 10,000 non-governmental organizations financed by the western countries in Kyrgyzstan.